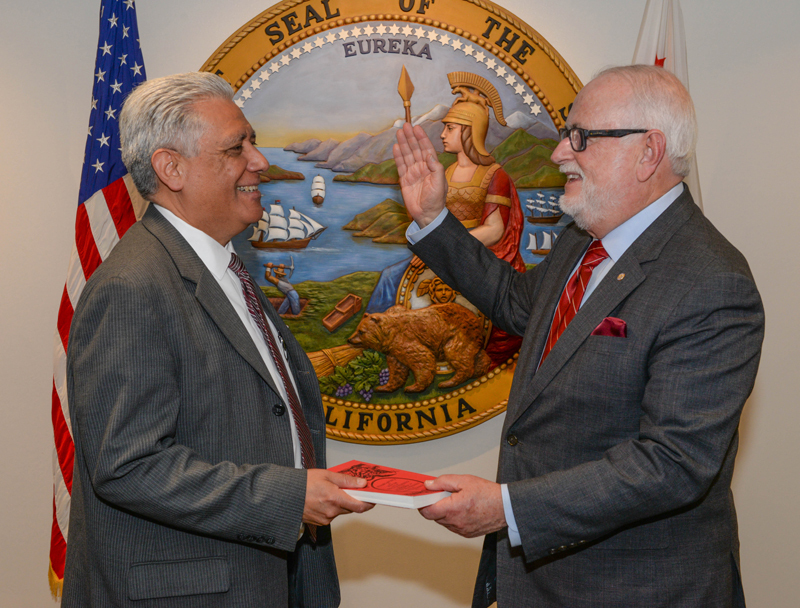 Governor Brown has re-appointed Chester A. Widom, FAIA as State Architect at the California Department of General Services, Division of the State Architect (DSA), where he has served since December 2011. As California’s State Architect, Mr. Widom’s responsibilities at DSA include oversight of structural safety, fire/life safety and accessibility for the design and construction of K-12 public schools and community colleges, and various other state-owned and leased facilities. DSA also develops accessibility, structural safety, and historical building codes and standards utilized in various public and private buildings throughout California. Launched school construction process changes with “Certification Starts When Construction Begins,” to ensure successful certification of all projects. Certified approximately 6,000 of 16,000 inherited construction projects that had not been previously DSA-certified. DSA continues to work on certifying all remaining projects through collaborative efforts with school districts and other stakeholders. Expanded transparency of the school construction process by implementing DSA Certification Box, which allows the public to view online all occupied, uncertified school projects. Certification Box identifies specific deficiencies that must be remedied by school districts for DSA certification. Provided guidance to school districts on implementing energy efficiency measures, water conservation, and on-site renewable energy generation at school campuses. Going forward, DSA plans to take an even stronger leadership role in making public schools more sustainable, energy efficient and environmentally friendly. Developed accessibility standards for the 2013 California Building Code for everything ranging from parking spaces and hand rails to housing. This effort aligned federal and state accessibility requirements for the first time, streamlining regulations so that meeting California standards ensures compliance with federal requirements. Mr. Widom was senior architectural advisor at Build-Los Angeles Community College District from 2009 to 2011 and was the founding partner at WWCOT (Widom, Wein, Cohen, O’Leary, Terasawa). He was a member of the Los Angeles Unified School District’s Bond Oversight Committee, Executive Committee from 2010 to 2011, the California Hospital Building Safety Board from 2004 to 2010, the Los Angeles Planning Commission from 2002 to 2004, the Elected Charter Reform Commission for the City of Los Angeles, and the City of Los Angeles Board of Building and Safety Commissioners from 2000 to 2002. He served as the 2011 chancellor of the College of Fellows for the American Institute of Architects (AIA), and was the 2011 recipient of the AIA’s Edward C. Kemper Award for service to the profession. He was president of both the National AIA and the AIA California Council. In addition, he received the Distinguished Alumni Award from the School of Architecture at USC, where he taught and served on the school’s Board of Councilors. Photo: Department of General Services acting director Esteban Almanza (left) swears-in Chester A. Widom, FAIA following his re-appointment as State Architect. Previous PostDGS Spotlights Employees with Strong Commitment to Integrity, Accountability, Communication, Excellence, Innovation, Teamwork.